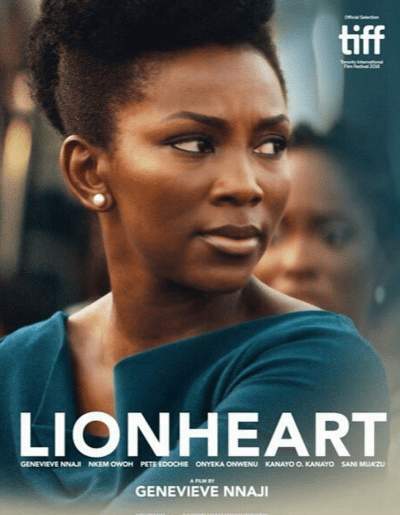 Download Lionheart Movie: Lionheart movie centers on a plot of a young lady trying to run a company in a male-dominated industry. 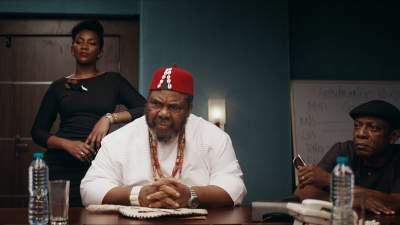 In hopes to prove her worth, Adaeze steps up to face the challenge when her dad, Chief Ernest Obiagu is forced to take a break from his company due to health issues. Cunningly, he appoints his eccentric and crude brother, Godswill, rather than hand over the affairs to his own daughter. Things get a bit complicated when the duo discover that the prided family business is in desperate need of financial help and both Godswill and Adaeze work hand in hand to save the company in their own crazy and often hilarious ways. Genevieve Nnaji‘s ‘Lionheart’ has gotten a release date on the amazing Netflix. The American streaming company has announced that the Nollywood star’s directorial debut will be available for streaming on January 4, 2019. The movie also stars Nigerian rapper and singer, Phyno and Peter Okoye. Written by C.J Fiery Obasi based on a screenplay by Ishaya Bako and Emil Garuba, “Lionheart” is executive produced by The Entertainment Network (TEN), which was founded in partnership with Chinny Onwugbenu. We hope you enjoy this movie from our Lionheart Nigerian movie download url. Kindly share and subscribe to get notified on more Nigerian and Netflix movies.